Pigeon racing is for many people a way of recreation. Pigeon racing is more than a sport. It’s also a community. During pigeon races you meet many other pigeon racers, who have the same passion as you: pigeons. Pigeon racing can also be very lucrative. Some races even have a $200.000,- prize. For many pigeon owners it’s a way of life. They build their pigeon loft, do research on how to train pigeons, how their anatomy works etc. There are many races with just as many rules. Each race is different and every pigeon racing organization has its own rules. Most of the time, however, they are alike. There are several types of races. One-loft racing: in one-loft racing, birds from the same loft race against one another. These birds are, however, bred by different breeders, but trained by the same trainer and in the same conditions. This is different from trainer against trainer races. One-loft pigeon racing is regarded as the fairest way of pigeon racing and is gaining popularity. It’s the fairest way of comparing bloodlines. Trainer against trainer: as already mentioned, there is the trainer against trainer race. In these races, birds from different lofts, with different breeds, with different trainers race against one another. Sprints: There are pigeon races that are called sprints. These are short races. For these races you want to have a pigeon with explosive power. Endurance is less relevant. The pigeon needs to perform intensively for a short period of time. Marathon: Another pigeon racing type is the marathon. This is an endurance-type race. The pigeons need to have a lot of stamina and be able to fly for long periods of time. 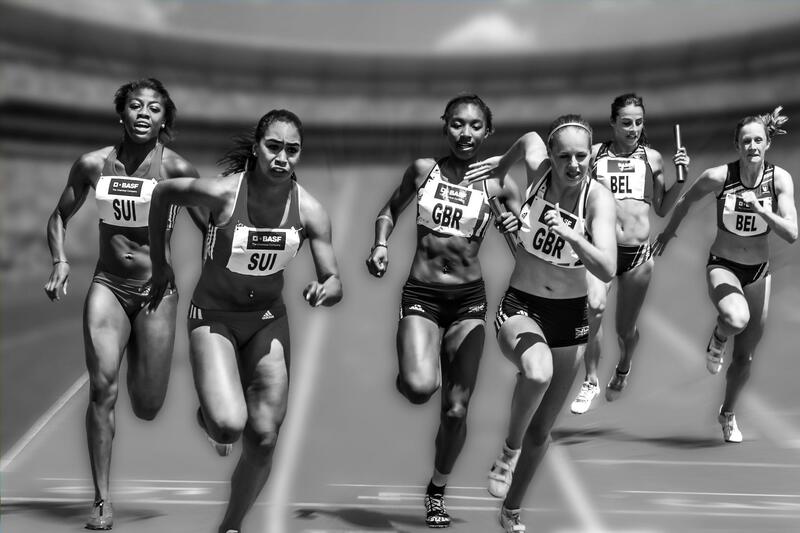 The length of such a race is usually several hundreds of kilometers. Most pigeon racing events have more races scheduled and are usually a combination of types. For each race, the top 3, 5 or 10 will receive points. After all races are finished, the pigeon racing team with the most cumulative points wins. As you can imagine, for pigeon racing you will need good, strong and healthy pigeons. But how do you determine a top pigeon? I already wrote a blog about the anatomy of racing pigeons and how you can determine if a pigeon is strong and healthy or not. To make/keep your racing pigeon strong and healthy, the food is essential. Pigeon racing is more than just attending the race and hope for the best. Even the pigeon loft plays a role. 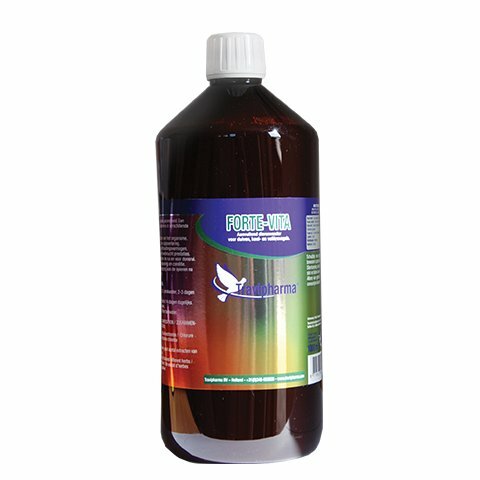 Forte Vita is a powerful natural product that maintains optimal health in your colony. Ideal for pigeon racing. 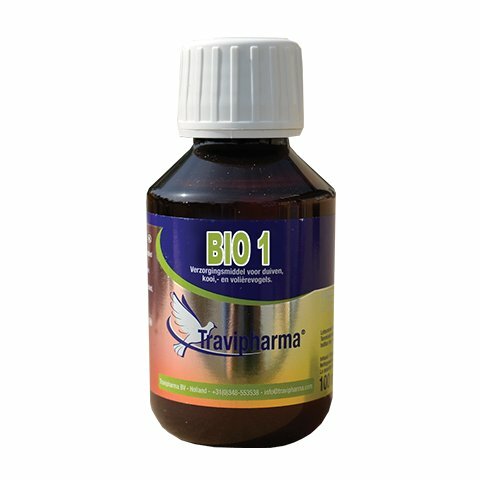 This elixir contains minerals, trace elements and very well balanced herbal extract in a powerful biological acid. This product activates the body and brings it in top condition. It is advisable to use Forte Vita after an antibiotic cure against intestinal disorders and for the overall resistance. Takes care of the muscles after physical exertions. Garlic and onion juice has a positive effect on the blood circulation. It improves fertility and purges the blood. It has a positive effect on intestinal disorders. It improves the condition and moulding, clears the throat and battles fatigue. Ideal for in winter, when your pigeons might not get as much exercise as they need. Setrachol is a unique liver tonic that benefits the recuperation after performances. 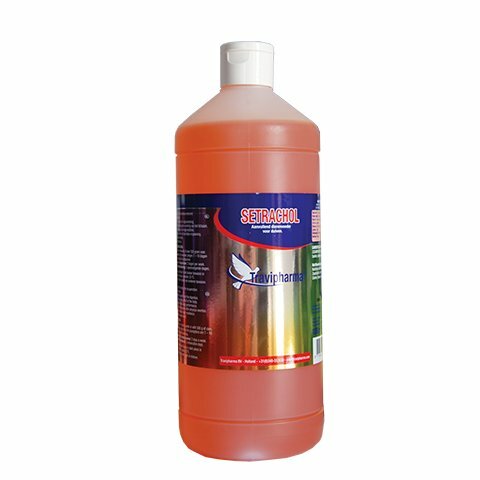 It nurtures the muscles after physical exertion and brings the pigeon in top condition for pigeon racing. 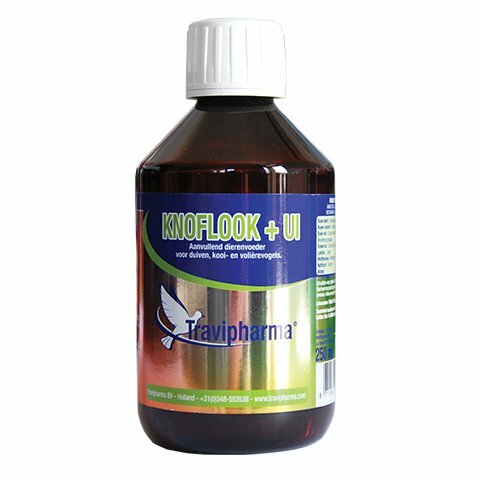 It is advisable to give Setrachol after the racing period and after antibiotic treatment, in absence of good breeding results, or when the pigeon has kidney, liver, and digestive problems. It makes for a perfect detoxification.